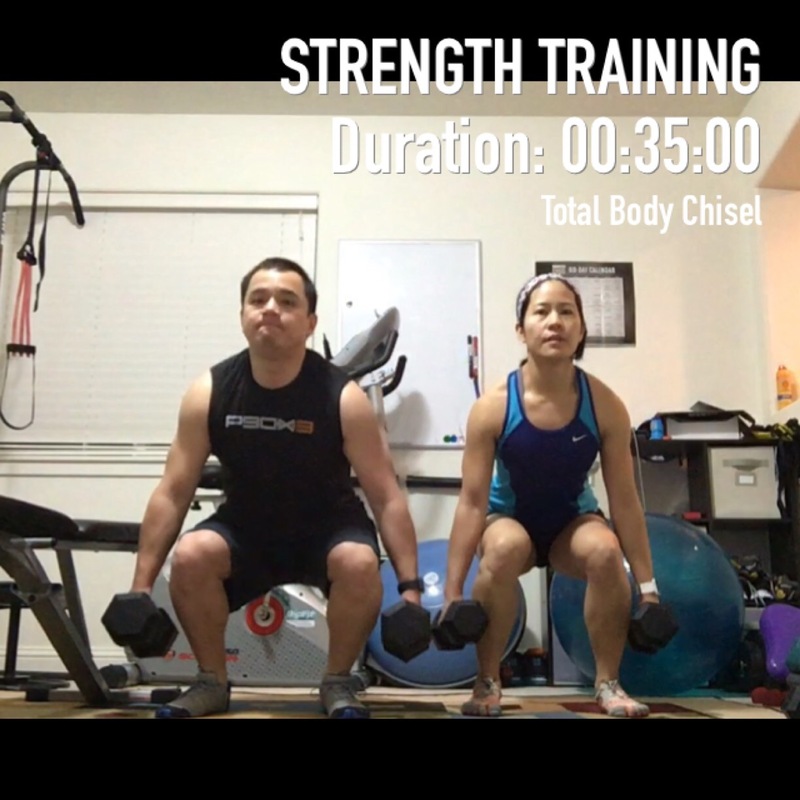 Monday – I had a good workout with the hubby and did Total Body Chisel from Hammer and Chisel. 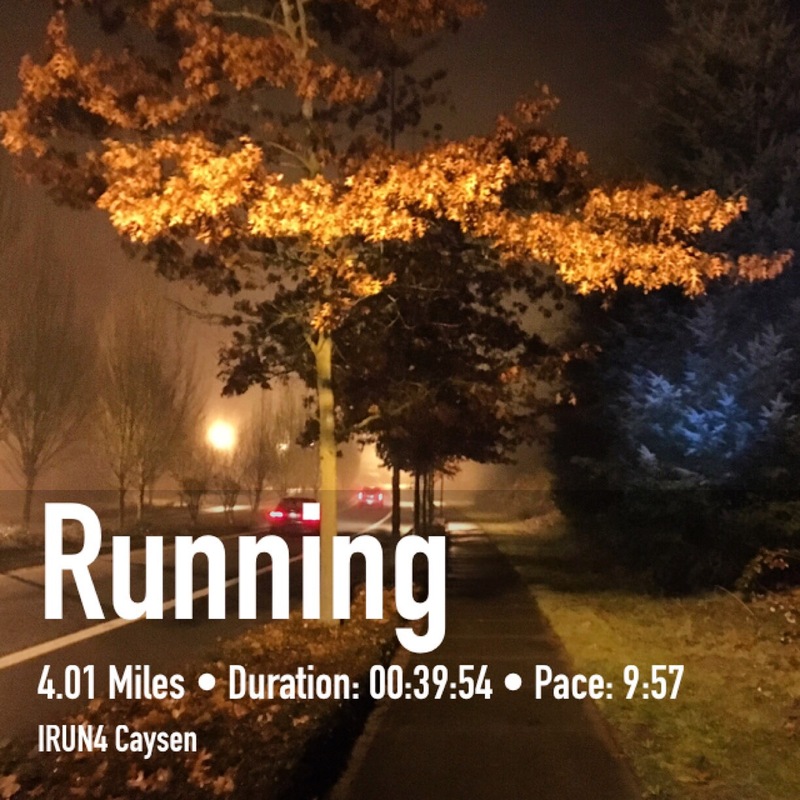 Tuesday – Ran 4 morning miles. 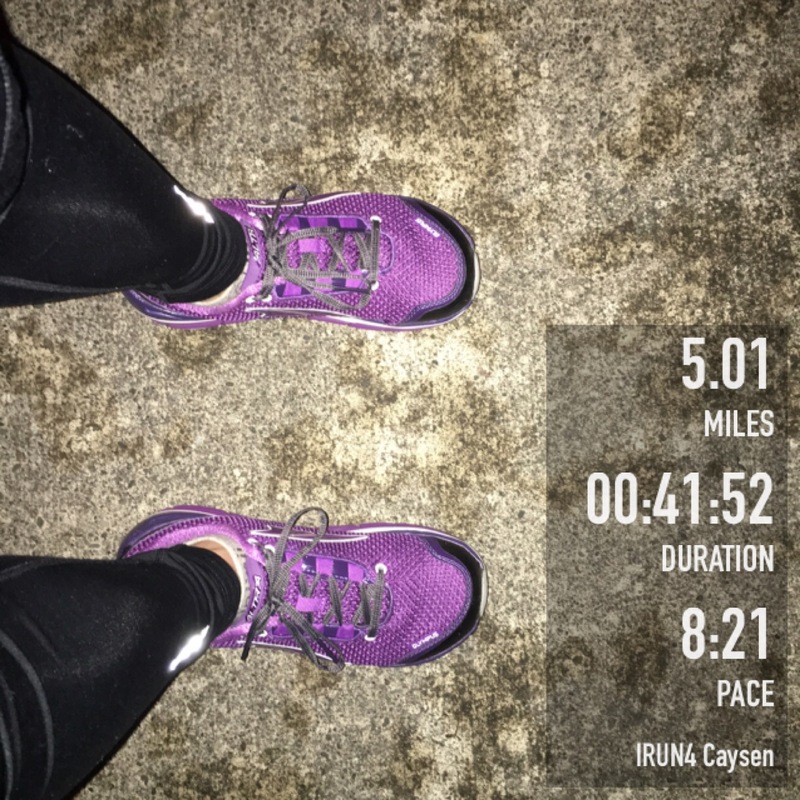 Wednesday – Ran 5 fast morning miles. 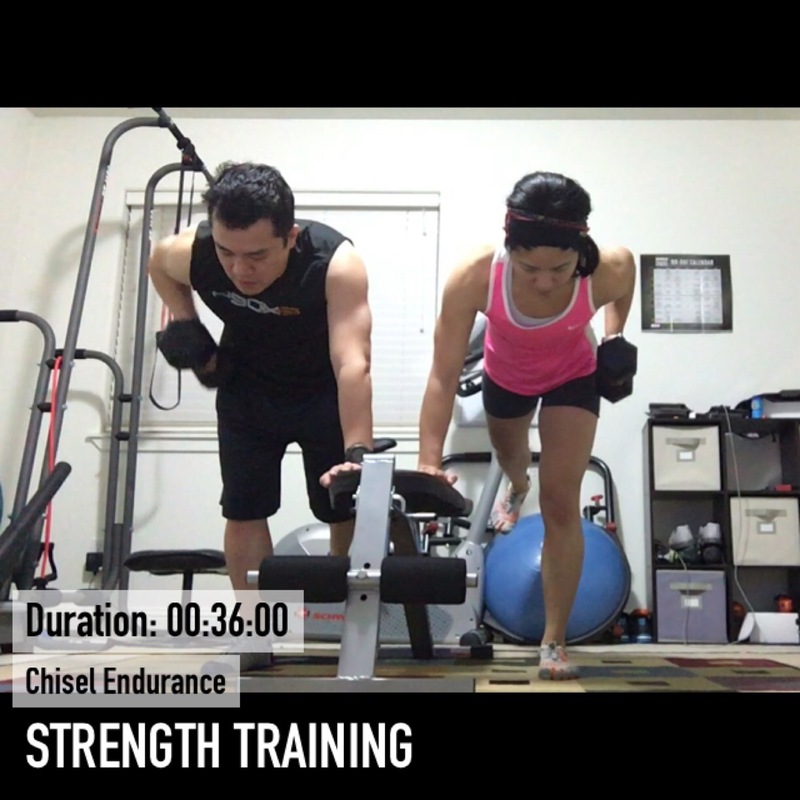 Friday – Chisel Endurance. I also ran 5 miles while the kids were both in school. 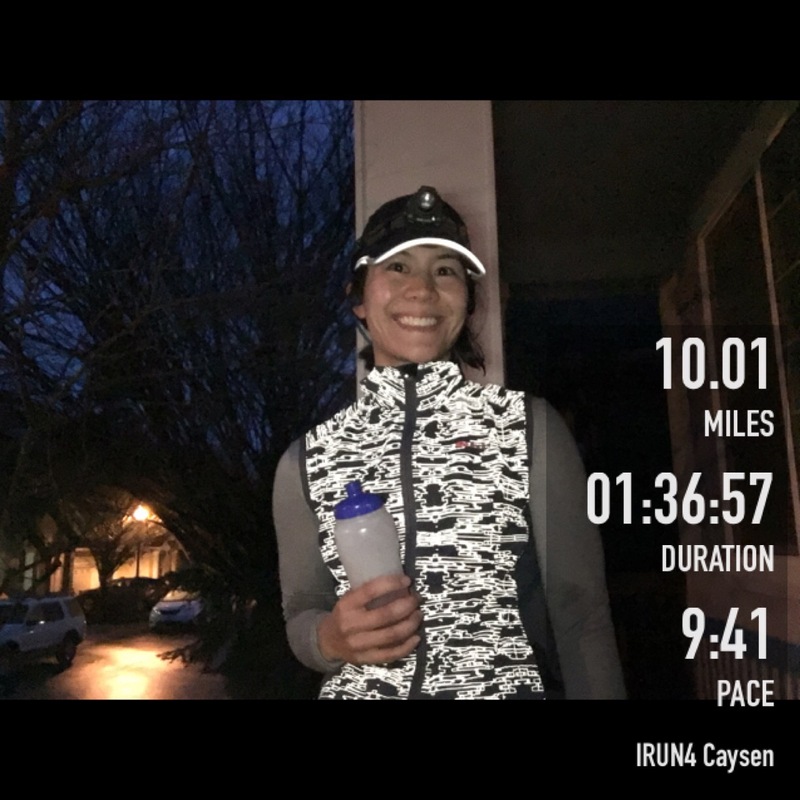 Saturday – Ran a nice and early 10 miler. 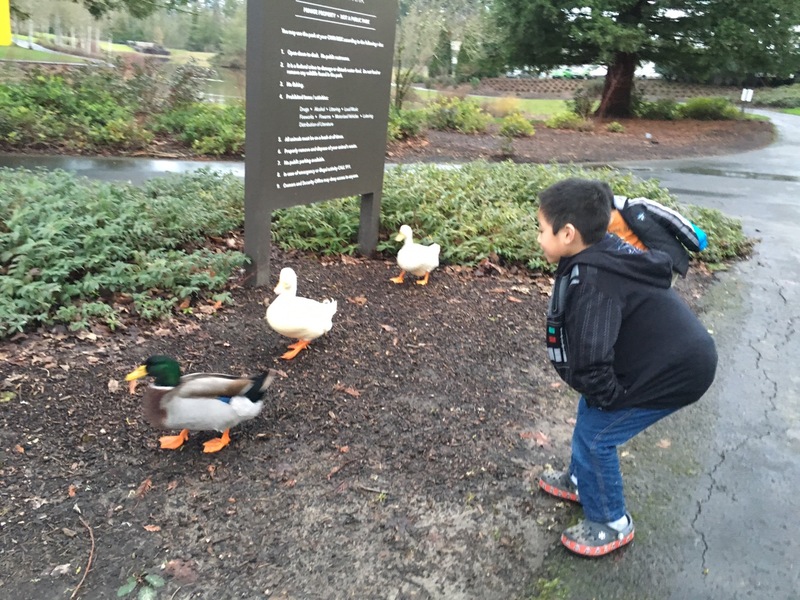 During my weekend, the kiddos had fun checking out the ducks at a nearby park. 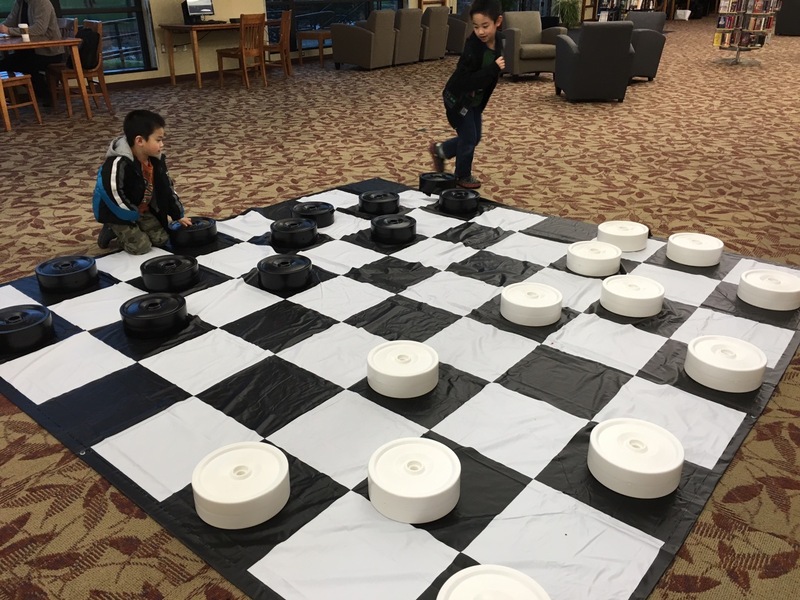 I was surprised to see a big Checkers game board at our local library. 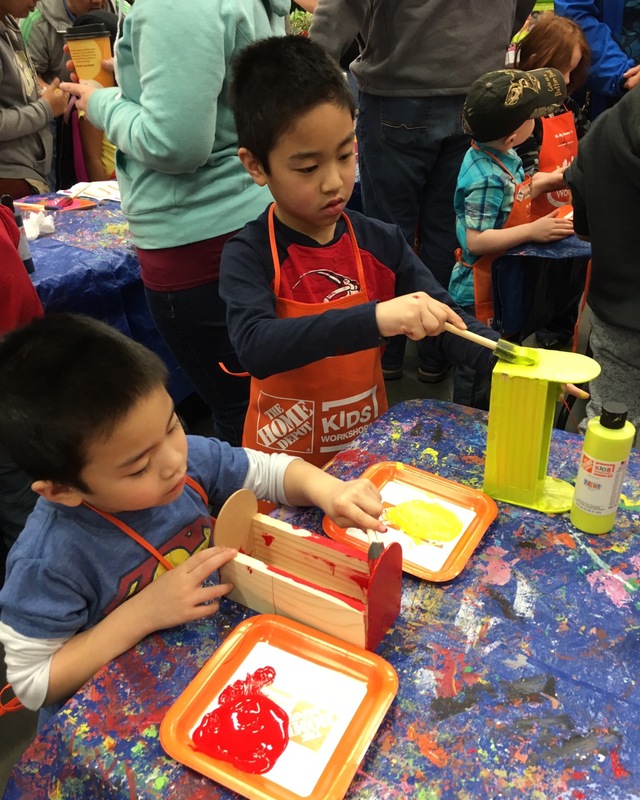 On Saturday, the kiddos had fun building Valentine’s day mailboxes at Home Depot. Love their free kids workshops! How’d your week go? Any fun plans for next week? Valentine’s Day is coming soon. Thanks Sharon! Nice that you’ve found a babysitter! Have a great week! Love the family yoga poses and how the boys just get right in there with you. Great week or workouts out and running. I think it’s so cool for the kids that Home Depot does that workshop. My grandson loves it. Have a fabulous week Sherry!! Thanks Diane! It’s nice when the boys participate. Yes, such fun workshops at Home Depot! 🙂 Have a super week too! Thanks Tricia! Yes, I thought the checkers were cool! The kids love doing crafts so it’s always nice when we can go to the free Home Depot workshops. 🙂 The L-pose was really tough for me. I need to keep practicing that one. Thanks for having the link up! You had a great week of workouts. The mailboxes your sons made at Home Depot are great. I had no idea they offered a free projects program for children. What a cool opportunity for kids to learn how to build and not just play on a computer. Thanks! 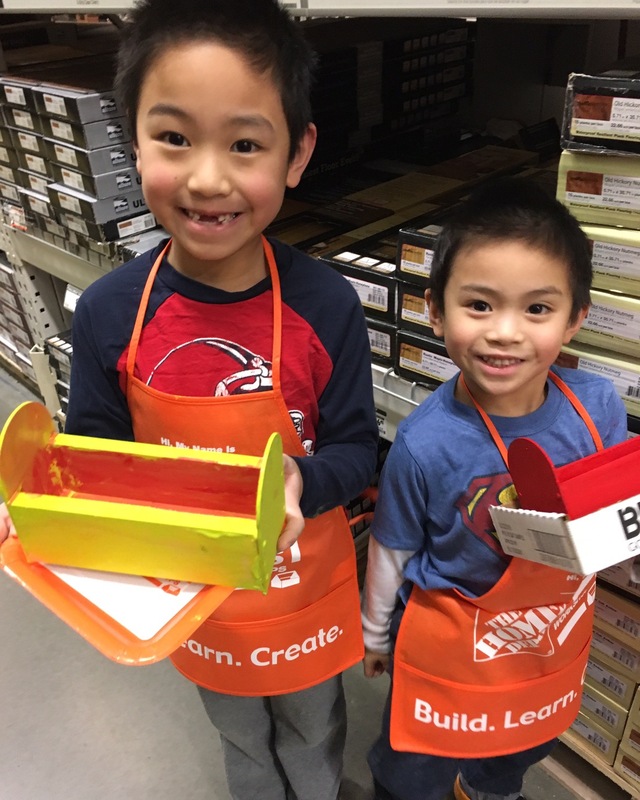 Yes, it’s such a cool thing that Home Depot has these free kids workshops! 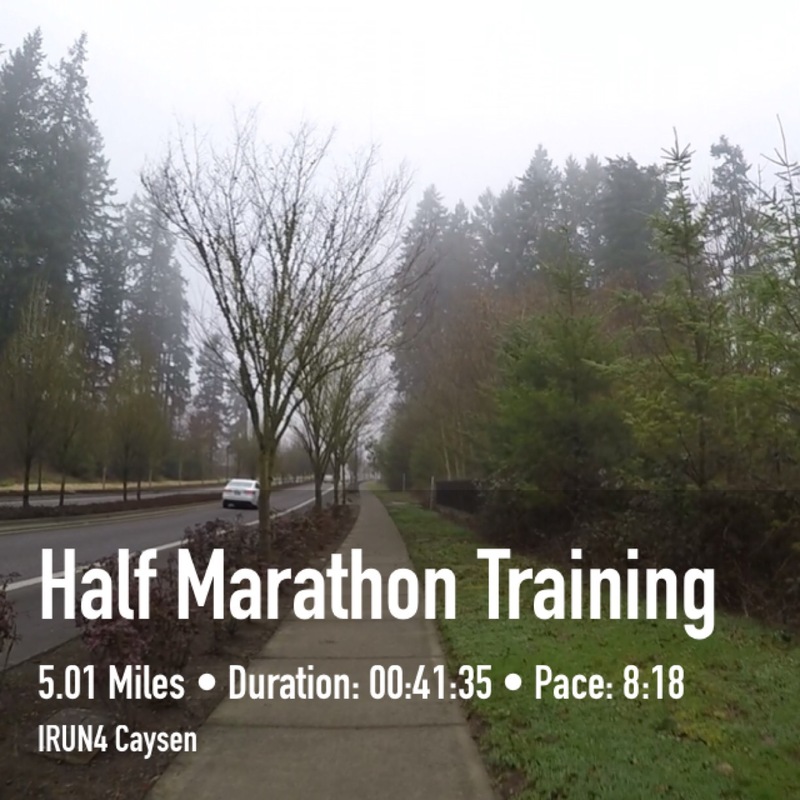 Do you go out with specific pace goals for your runs or do you do them by feel? It’s interesting how many different schools of thought there are on this topic. I have a very wide range of paces for the majority of my runs. Usually only two runs per week have a narrow pace window to hit. Nice work! 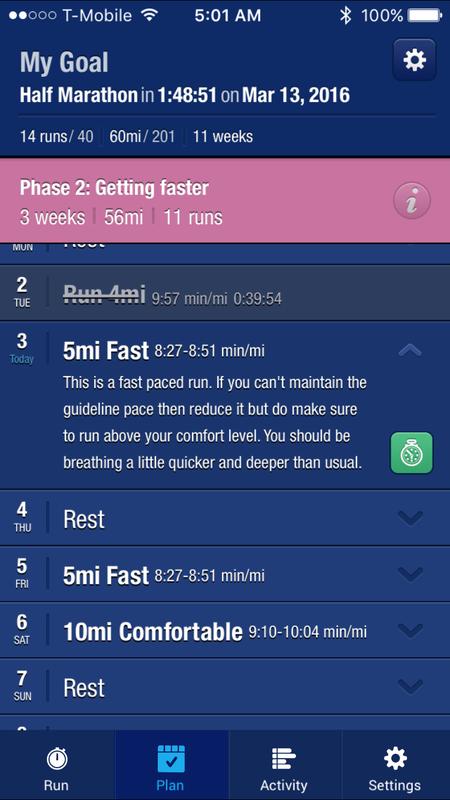 Since I’m following the My Asics plan for half marathon training, I’ve been somewhat using their paces as a guide. If I wasn’t following a plan, I go by feel. Thanks! Aww…the mailboxes are such a sweet idea for Valentine’s Day. It is wonderful they have the free workshops at Home Depot. My parents used to take us to feed the ducks every Sunday afternoon…at the pond inside the cemetery. Seriously. Odd, but we enjoyed it. I’m curious, how does the Asic app determine the paces for your run? Is it based on a desired finish time for your next race? 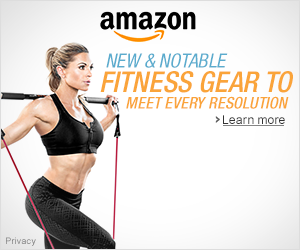 Thanks for linking with us Sherry. That is an interesting ritual to go feed the ducks at the cemetery. The My Asics app determines paces by my last half marathon I ran, as well as age, gender, and desired finish time. Thanks for having the link up!